Mawarire was arrested on Wednesday and initially charged by police with the lesser crime of inciting public violence after social media posts encouraging Zimbabweans to heed a strike call by the biggest labour union. The charge sheet accused him of coercing workers to stay away from work and encouraging civil disobedience. Mawarire’s lawyer Beatrice Mtetwa denied that he had incited violence. The court ordered Mawarire to remain in detention and adjourned the pretrial hearing until Friday. Authorities have said three people died during the protests, which mostly took place in Zimbabwe’s two biggest cities, Harare and Bulawayo. Rights groups say the toll was much higher. President Emmerson Mnangagwa’s government decreed a 150%hike in fuel prices last weekend, which triggered the three-day strike, during which protesters barricaded roads with rocks and burned tyres and looted shops. Two opposition legislators were charged with inciting public violence in Gweru, 280km west of Harare. They were denied bail and their trial will start on Friday, lawyers said. 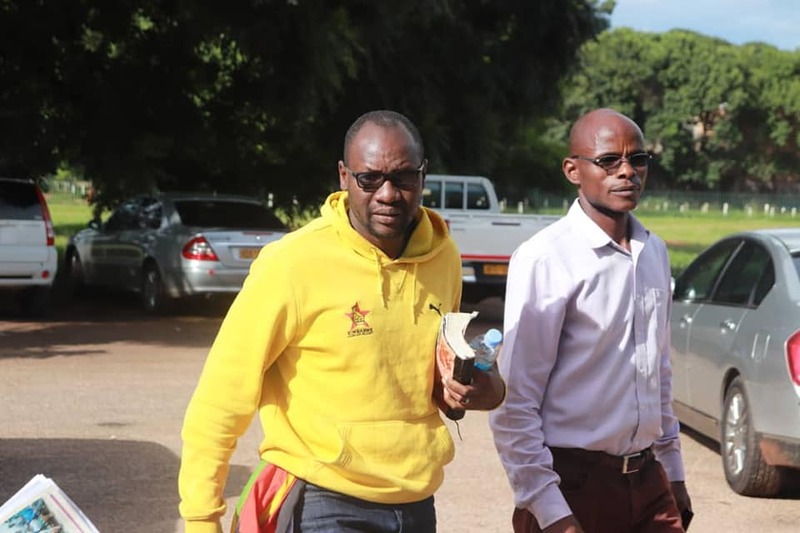 Reports said earlier seven Zanu-PF youth league members also appeared in Harare Magistrate’s Court on Wednesday after allegedly torching a bus during the demonstrations and looting a store. Britain summoned Zimbabwe’s ambassador in London. Africa minister Harriett Baldwin said Britain condemned the violent behaviour of some protesters, but was “deeply concerned that Zimbabwe’s security forces have acted disproportionately in response”. Police rounded up 600 people this week in a crackdown on protesters. A doctors’ group said 68 people had been treated for gunshot wounds. Lawyers from the Zimbabwe Lawyers for Human Rights are representing more than 130 people including Mawarire, who rose to prominence as a critic of former strongman Robert Mugabe and led a national protest shutdown in 2016. He was tried on similar charges in 2017 but acquitted for lack of evidence. Mnangagwa promised to repair the struggling economy after replacing Mugabe in an election following a coup in November 2017, but Zimbabwe has fallen back into familiar ways. While some businesses reopened on Thursday after the strike, new data showed inflation soared to a 10-year high of 42% in December, even before the fuel price hike. As dollar shortages batter the economy, rocketing inflation is destroying the value of citizens’ savings. The Zimbabwe Association of Doctors for Human Rights (ZADHR) said its members had treated 172 people, some with dog bites, in private and public hospitals since Monday, when the protests started. “There are cases of patients who had chest trauma and fractured limbs who were forcibly taken from hospital to attend court despite the advice of doctors,” ZAHDR said in a statement. Of the 68 people treated for gunshot wounds, 17 underwent emergency surgery. On Thursday, there were still long queues at the few filling stations selling fuel, sometimes under the watchful eye of soldiers. The few shops that were open were packed with people buying basics such as sugar, flour and bread. Media platforms including Whatsapp, Facebook and Twitter remained blocked because of a government order, leading to accusations from opposition figures that it wanted to prevent images of heavy-handed police tactics being broadcast around the world. The US Embassy urged that access be restored.